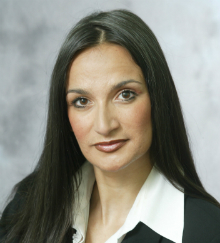 After training as a solicitor with Ian McCarry Solicitors, Glasgow, Shanti practised as a sole practitioner from 1996 until 2002 before calling at the Bar in 2003. Shanti has gained much experience both at Sheriff Court and High Court level, including experience in prosecution of solemn matters. She has a confident and reassuring manner and can easily form good rapport and trust of clients. Shanti has conducted many trials concerning sexual offences, assault and robbery, and attempted murder and has acted as junior counsel in murder trials. Shanti was employed as a full time Advocate Depute for eight years from 2010, spending four of those in the National Sexual Crimes Unit and now splits her practice between defence and prosecution work on a two monthly rotational basis.